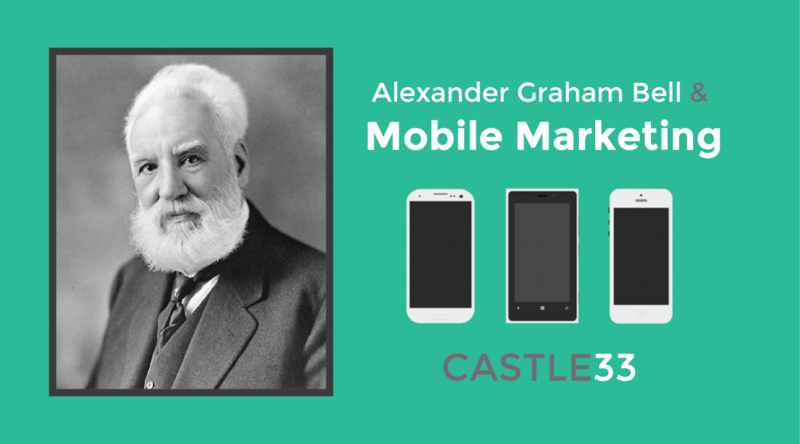 When Scottish scientist and engineer Alexander Graham Bell invented the telephone, little did he know that his legacy was going to be carried in our pockets and bags in many shapes, sizes and forms. Little did he know that his invention, remarkably inspired by deaf members of his family – both his mother and wife – prompting him to experiment with hearing devices, eventually leading to the telephone. Needless to say his invention was a revolution to mankind to the extent that nowadays nobody can live without their telephone. Telephones – and now mobiles – are an essential part of our lives. We not only communicate through them, but also perform a myriad of important tasks that literally affect the world and the way we live. We now do business from our mobile devices by only pressing a single button. We can now even say “yes” directly into the device, and the deal is done. In the last 5 years, the rise of mobile commerce has increased astronomically, and this increment is not showing any signs of slowing down; on the contrary, we are becoming substantially more and more dependent on our mobiles. Technology has made us “mobile hungry”, it is a reality. And yes we have to admit, we are way too attached to our devices, but let’s be honest – we love it! Just remember the last time you did everything from your phone: booking a table in your favourite restaurant; buying that nice dress you wanted so much or getting that pair of runners you saw online. Marketers are aware of this fascinating trend and have been facing tough challenges in keeping up considering how rapidly mobile technology continues to advance. The challenges can be grueling, but not impossible to overcome. One particular example is the way businesses have taken the opportunity to automate actions that would have been done manually before. Successful companies have been forced to increase their budgets to allocate online and digital advertising. They know this is a more instant way to connect and communicate with their target audience. Due to E-commerce, value is no longer just about the goods themselves, but also about the exchanges of those goods. Organisations have been working effortlessly to create a more seamless exchange of goods and services to provide their customers a more efficient and enjoyable consumer experience. Ensuring that your company stays ahead of these technological trends provides a strong competitive advantage. Because of strict policies and regulations, people now trust their mobile devices more than any other communications channel. The ability to send the right message to the right person at the right time, allows marketers to prompt and exacerbate a response from their target audience. Last month, The Digital Marketing Institute – Ireland, published in an article compelling statistics in relation to the revolution of mobile marketing, as well as other relevant information such as Twitter announcing their launch of their “Twitter Payments” and Apple its “Apple Pay”, reporting that Facebook is working on its own payment system “in secret” which will be operating through its “Messenger app”. The competition is already boiling.